The body of the Late Captain David Tong of the North Coast Aviation, who died after his plane crashed in the dense forest of Kabwum District will be repatriated today from Lae to Australia. According to Elder Morris from Funeral Home a small funeral will be conducted at 2pm this afternoon before the body leaves Lae for Melbourne via Port Moresby. A source from the North Coast Aviation confirms a proper funeral will be held in Melbourne as soon as his body arrives there. 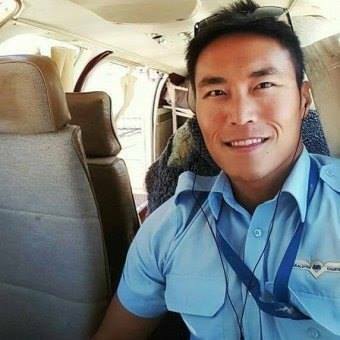 Tong, 34, from Melbourne died on December 23rd after his Britten Norman Islander crashed between Dinangat and Yawan villages in Yus LLG-Kabwum District. Tong survived the impact and was able to contact authorities with his mobile phone, but by the time searchers could get in to the area three days later he had died. Rescuers said they were hampered by poor weather and the remoteness of the terrain of the Saruwaged Range. Meanwhile, the PNG Accident Investigation Commission is investigating the cause of the crash.